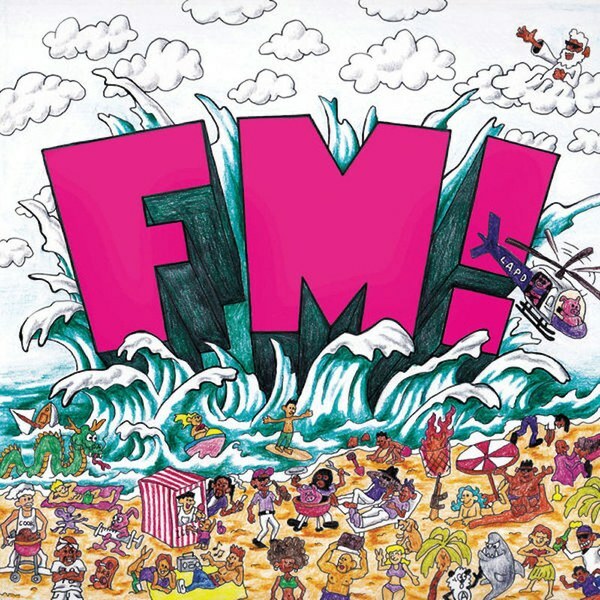 “FM!” is the third studio album from Long Beach, California’s Vince Staples. The eleven-track project features west coast artists including Ty Dolla $ign, Jay Rock, Earl Sweatshirt, Kamaiyah, Tyga, Kehlani and E-40. The album is constructed as an airing of Big Boy’s Neighborhood, a nationally broadcasted FM radio station based in Los Angeles, and possibly the most well-known hip hop radio program in the U.S. Released on Nov. 2, 2018 on all music streaming platforms, FM! is a throwback to summer vibes and is not intended to be a dense music project but does have its dark moments. With the longest song barely passing three minutes, Staples’ intent is clear. The album starts with legendary hip hop icon and radio host Big Boy introducing the idea of the feeling of summer year-round in California. The opening track, “Feels like Summer,” reiterates this idea with an excellent feature from Ty Dolla $ign. A smooth chorus is something that fans have grown accustomed to from the melodic artist. Not all things are well in Long Beach during the summer as Staples recounts the dangers of his home town. Big Boy continues his contribution to the album as he narrates the switch to the second song of the project, “Outside.” Once again, Staples discusses the gang violence in his home town. The chorus questions who in the city, or “neighborhood,” is really about this life style. The third track is a first time collaboration between Staple’s and respected west coast rapper Jay Rock. The theme continues as this song serves as a warning to those to be careful in this violent culture. The following song, “Relay,” discusses the difficulty of leaving the projects from different perspectives. The outro of this song has the radio station tell listeners to call in to receive free Kehlani tickets as any radio station would. At the conclusion of these four songs, the first interlude of the album plays featuring another west coast artist, Earl Sweatshirt. A second snippet comes later as the ninth track in the album, when Tyga is featured. These two snippets really give the album a sense of realistic radio play with two different types of genres in hip hop. The following three songs after Earl Sweatshirt’s interlude are “Run the Bands,” “Fun,” featuring E-40, and “No Bleeding,” featuring Kamaiyah. “Run the Bands” goes into depth about the aspects of an armed robbery and again signals warning to listeners. “Fun” is the lead single off the album and is short for not wanting to mess things up. Staples and his people are here to enjoy the fruits of being young. No one volunteers to puts themselves in these violent living situations growing up. “No Bleeding” is continuing the theme of gang violence, but from two different perspectives: one Crip and the other Bloods, the two legendary gangs from the Los Angeles area. The title references the mind set of gang members who have lost close friends and are not willing to lose any more. The penultimate track of the album is a hilarious skit from a call into the radio show. A listener calls in and is asked to name seven famous people whose name begins with the letter V. He only gets one. The outro and final song of the album, “Tweaking,” featuring Vonnie, Buddy and Kehlani, is the most thoughtful and well written song of the project. Staples discusses the pain of losing close friends due to gang violence. The chorus is beautifully sung with emphasis on losing someone every weekend and the inability to handle those loses. “FM!” fulfills its objective to almost perfection. “Tweaking,” with its distinct sound and lyrical superiority, enables the listener to demand even more from the rest of the album. Vince Staples wanted to put out a creative project that contained summer vibes while sticking to his roots and mirroring the dangerous real life scenarios he dealt with growing up in Long Beach, California, and he succeeds. Do not change this station.